Tokyo (February 15, 2017) - Bridgestone Corporation (Bridgestone) today announced that it has been identified as a global leader for its actions and strategies to manage carbon and climate change across its supply chain. Bridgestone has been awarded a position on the supplier engagement leader board, receiving the highest rating A in Supplier Engagement Rating, by CDP,* formerly the Carbon Disclosure Project. 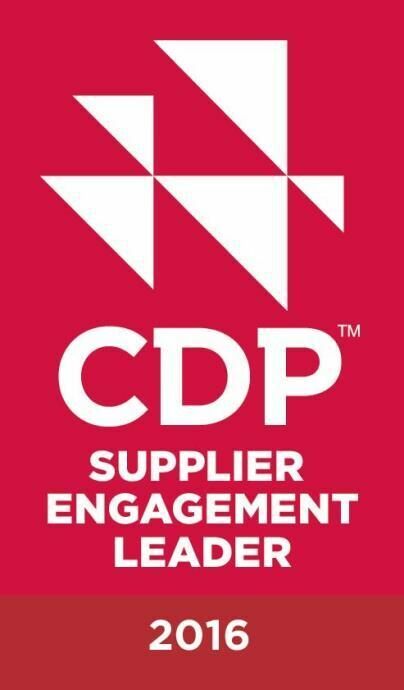 The Supplier Engagement Rating is an initiative that CDP launched for the first time in 2017. More than 3,300 companies were assessed by CDP on their supply chain engagement strategies, and Bridgestone was among 29 companies that received the highest rating A and was awarded a position on the supplier engagement leader board, in recognition of its actions to reduce emissions and lower climate-related risks in the supply chain in the past reporting year. The Bridgestone Group has set a long-term environmental vision for the year 2050 and beyond. This vision aims to strike a Group-wide balance between business operations and environmental protection. The Group is reducing CO2 emissions throughout all areas of its products’ lifecycles from raw material procurement to manufacturing, distribution, use and disposal or recycling in order to contribute to the creation of a sustainable society. These efforts led to its inclusion in the supplier engagement leader board with the highest rating A. Founded on its mission of "Serving Society with Superior Quality," the Bridgestone Group recognizes there is important business value in contributing to society. As a global leader in the tire and rubber industries, Bridgestone aims for sustainable growth as a company that contributes to the creation of a sustainable society, while embracing our responsibility to future generations. * CDP, formerly the Carbon Disclosure Project, is an international nongovernmental organization based in the United Kingdom that collects and discloses environmental information related to companies and cities. Acting as a representative for institutional investors across the globe, CDP encourages major companies worldwide to disclose information regarding climate change, greenhouse gas emissions, water management, and other environmental concerns and also investigates and evaluates such companies.